Streamers, handmade posters and colored lights hung from the walls that overlooked dancing students, ambient lighting and music from all over the world. Each common room had been converted to a home away from home for the international students of the Global Village. 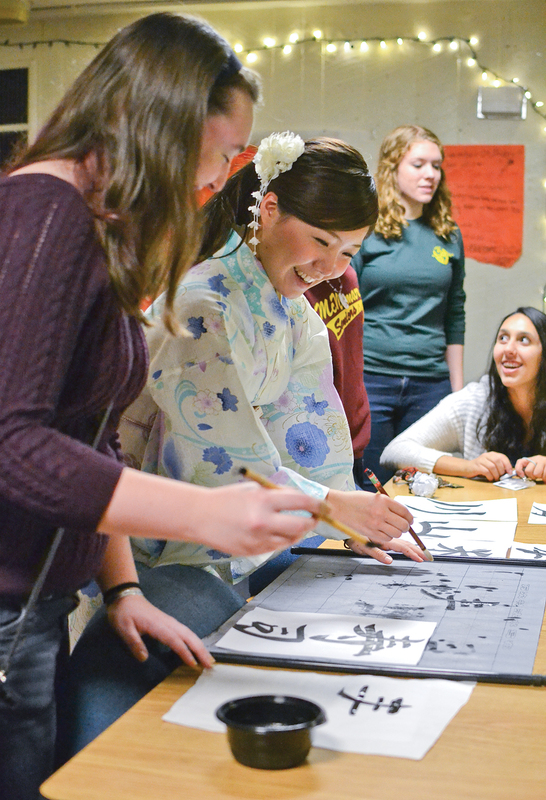 “We’re doing an expo for other people to know where international students live, and what it looks like to be an international student,” Around the World event coordinator Katya Krasnova said. Around the World, an evening of games, food and culture from countries across the world, took place on Sunday in the first five floors of Residence Tower where students had decorated each floor to represent countries of Europe, Asia, Africa and South America. 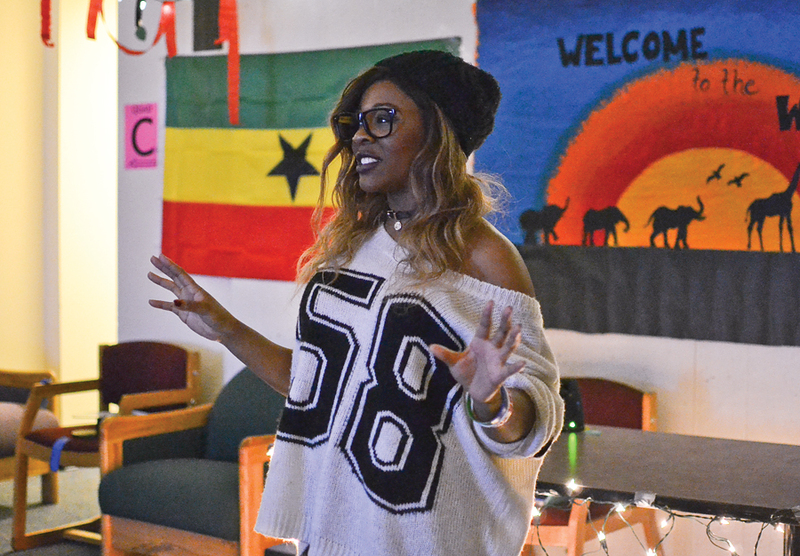 Sophomore Lydia Johnson, who worked on the African themed floor, taught students how to play a popular game from Ghana called Ampe. “I hope [students] will go back and research the different cultures, and different ways of life, and look deeper into the stereotypes, the things people go through each day, in each country,” Johnson said. On the Asia floor, activities such as origami and Japanese calligraphy were featured. On the Australian floor, students were shown boomerang and aboriginal dot art. Students could also take part in a lesson on soccer tricks on the United Kingdom floor, and learn different kinds of dances on the African floor. “I like being able to share my culture, and [knowledge about] other countries in Africa, so I think it’s fun to help out because seeing people learning and getting interested in it is cool,” Johnson said. Freshman Becca Rogers said that she attended the event as a way to meet people. Although she enjoyed taking part in the field hockey game offered on the United Kingdom floor she said that her favorite part of the evening was trying the different foods available from each country.